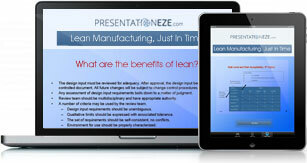 Lean Processes & Just In Time. Lean is about the elimination of all waste in order to develop an operation that is faster, more dependable, that produces higher quality products and services, operates at lower cost and above all, better achieves the expectations of the customer. Lean is a strategy for change. It is about all staff involved, contributing to working towards creating the value that the customer needs. Lean requires a commitment to continuous improvement in an organization. It is focused on optimizing a process, to ensure maximum responsiveness to customer needs. Just In Time aims to align demand with supply, from the end use customer back to sub-supplier processes. The better demand and supply are aligned, the greater the efficiencies. In tandem with balanced demand and supply, are needs for right first time quality combined with the elimination of waste.